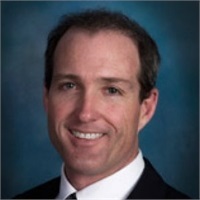 Brian Tinker | Penniall & Associates, Inc.
Brian decided to utilize his tax preparation and investment selection skills and chose to pursue a career as a Financial Planner in 2002. He helped his father prepare tax returns at an early age and turned his attention to stock selection as an equity analyst in 1999. Shortly after experiencing the bear market at the turn of the millennium, he decided to become a financial planner to help individuals prepare themselves financially for life after work. He integrates a comprehensive, multi-disciplinary financial planning process that is goal-oriented and includes: Cash flow management and budgeting, Risk management, Investment and Tax management, Retirement planning as well as Estate planning. Brian takes a holistic approach to financial planning recognizing all areas of finance affect a client's ability to reach goals and objectives. As a CERTIFIED FINANCIAL PLANNER™ professional and an Accredited Investment Fiduciary® designee, he upholds his ethical and legal responsibility to put client needs first when creating strategies to help them achieve their financial goals and objectives. An education from UCLA, multiple securities and insurance licenses, the CFP® and the AIF® certifications have prepared Brian to help his clients achieve their goals and desired standard of living within the framework of industry laws and regulations. Brian is a Financial Advisor with Penniall & Associates. Certified Financial Planner Board of Standards Inc. owns the certification marks CFP®, CERTIFIED FINANCIAL PLANNER™ and federally registered CFP in the U.S., which it awards to individuals who successfully complete CFP Board's initial and ongoing certification requirements. The Center for Fiduciary Studies owns the marks AIF® and AIFA®, which it awards to individuals who successfully complete initial and ongoing accreditation requirements.